The Electricity Club held its first live event in the heart of London’s New Oxford Street at The Bowery to showcase two of the best new talents in the UK right now in VILE ELECTRODES and CURXES. Although not quite constructing an analogue synth fort, CURXES’ Roberta Fidora brought along some digital variant in a Roland D-50 and a JP-8000, the later seemingly looking bigger than her! As well as ‘The Constructor’ and ‘Once Upon A Time’, a new song ‘Lightness’ was aired and suited the Halloween atmosphere. The set concluded with ‘Jaws’, a number from the duo’s HOLD FAST days which has now been turned into frantic melee of post-punk lightning. VILE ELECTRODES didn’t disappoint. Anais Neon and Martin Swan had an impressive array of equipment with them to launch their first ever EP. From this self-titled release, the mournfully dramatic ‘My Sanctuary’ opened proceedings. ‘The Leopard’ and ‘Drowned Cities’ both possessed a likeable immediacy while ‘Nothing’ showed their versatility. ‘Play With Fire’, another song from the debut EP, displayed their nonchalant electro-indie side in a surreal realisation of what might have happened if Johnny Marr had picked up a Roland instead of a Rickenbacker. ‘Empire of Wolves’ provided a hypnotic danceable highlight before ‘Deep Red’, the magnificent song which introduced The Electricity Club was given a rare outing and mesmerised all present in its full seven and a half minute glory. The duo returned for an encore to perform ‘Proximity’, now established as a favourite among the growing number of Vile followers. Indeed, these followers happily purchased the new EP afterwards and were treated to a bonus instant photo with Miss Neon as a thank you. A very limited run of latex packaged special editions was sold out immediately, showing the connection that VILE ELECTRODES have managed to establish with their fans. It was a fun evening, one that featured good music and best of all, an occasion for like-minded people to gather. 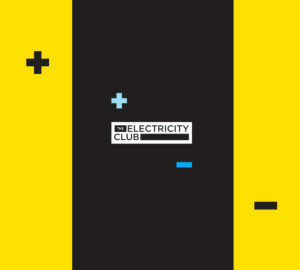 The Electricity Club would like to give its grateful thanks to VILE ELECTRODES, CURXES, TEC001’s team of helpers, Rusty Egan, The Bowery and all those who supported the event to make it a success.